KARACHI: Ahmed Shah-Ajaz Farooqui Panel has made a clean sweep in the 54th annual elections of Arts Council of Pakistan (ACP), Karachi held here last Sunday. According to the results announced on Monday, the panel has won all the governing body seats including those of president and vice president. Ahmed Shah secured 2,124 votes leaving behind his rival Manzar Ayubi with 787 votes. 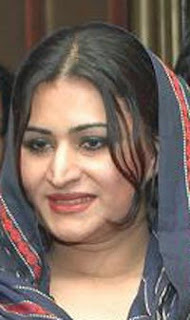 Similarly, Faraz Zaidi received 1,693 votes for the seat of vice president, Ajaz Farooqi, candidate for honorary secretary bagged success with 1,710 votes, Amin Yousaf came out as a successful candidate for joint secretary by obtaining 1,710 votes and Mehmood Ahmed Khan was elected as treasurer with 1,972 votes. Ahmd Shah has many wins to his credit while his rival Najmuddin Sheikh was also a strong candidate for the position of honorary secretary. But the members of Arts Council expressed their trust in Shah and his panel. As many as 3,074, out of more than 5,000 members of the Arts Council Karachi took part in the polling. Sindh Minister for Culture Sassui Palijo said on Saturday that Quaid-e-Azam Mohammad Ali Jinnah was a great person who spent his life with principles and dignity. This she said while talking to the media after inaugurating the pictorial exhibition on life of Quaid organised by the Culture Department at Arts Council of Pakistan on Saturday. Palijo said that Quaid was a great leader, who had given the concept of welfare state which was followed by Quaid-e-Awam Zulfiqar Ali Bhutto and Benazir Bhutto. She said that Quaid also laid the foundation of religious harmony declaring that there would be no discrimination on the basis of religion, cast, colour and creed. Palijo took keen interest in the pictures of Quaid, and said her department would further research to explore other aspects of life of the great leader. She announced that similar exhibition of photographs of Benazir Bhutto would also be held in Larkana and Karachi. On the occasion, Director General Culture Dr Sikandar Ali Panhwer, Director Dr Mohammad Ali Manjhi and others were also present.